Boats by the Shores of Normandy. bonington30 - AMAZON OIL PAINTING CO.,LTD. Boats by the Shores of Normandy. c.1825. Oil on canvas. The Hermitage, St. Petersburg, Russia. 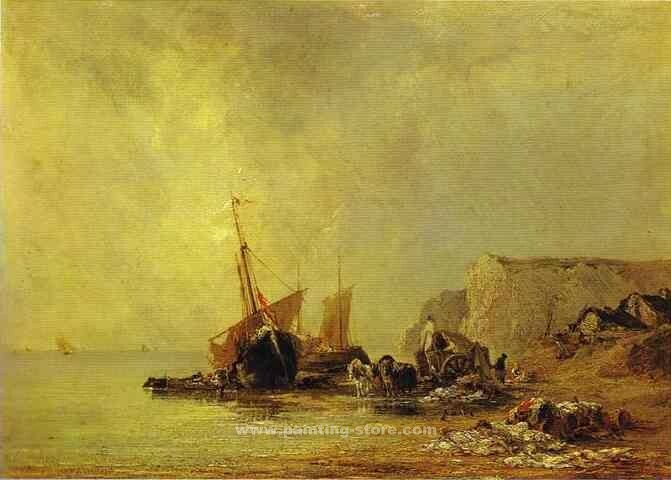 Title: Boats by the Shores of Normandy.